Goodbye college and hello adulthood! 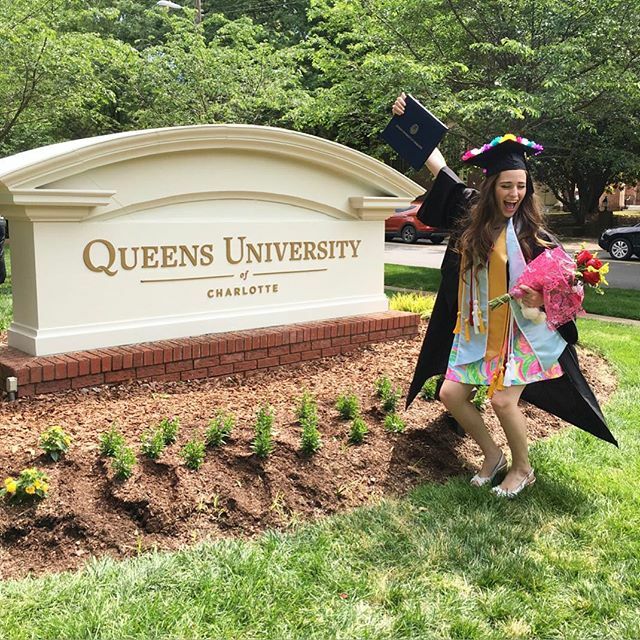 As of Saturday, May 7th, 2016, I am a proud graduate of the Knight School of Communication at Queens University of Charlotte. Up until now, I have never publicly shared the name of my college on my blog for privacy reasons- but you follow me on Instagram or Snapchat then you probably already knew where I went to school, haha! UNC Charlotte is a large public university that is also located in Charlotte (although in a different part of the city), and I have had blog readers before who assumed that I went to school there, and I just left the assumptions at that while I was still a college student. But now that I am all finished with school, I figured that it was time to finally share where I spent the last three years! I have lots of photos from graduation weekend to share on the blog at some point soon, and next weekend I am having professional senior photos taken, so those will be fun to post as well! This will be a big week of playing "catch-up" for the blog, as my blog had to go on the back burner of my life for the past couple of weeks as I dealt with a very unexpected concussion during the end of school. I am so thankful to be feeling a lot better now! My energy levels still are not what they were before, but other then than I feel pretty much my normal self again. The fact that I was able to take all of my exams without incompletes and receive my diploma on time after dealing with something like that is still unbelievable to me- God is good! 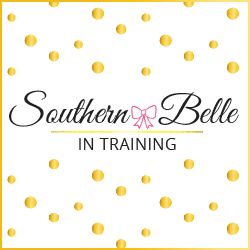 Anyways, as this week I tackle returning to work, unpacking in my apartment, and beginning to make the transition from college student life to adulthood, please help me out by letting me know what types of posts YOU would like to see on Southern Belle in Training soon! Now that the unexpected craziness in my life has settled down a bit, I will have much more time soon to devote to the blog, and I want my content to be as good as it can be, and posts that y'all enjoy reading! I would love suggestions for both fashion and lifestyle content. :-) It has been my plan for many months to finally work on a hair tutorial post for y'all once I graduate college, and that's on the agenda for June! As well as a tour of my new bedroom in my apartment. But please let me know anything else that you would like to see! I'll be back tomorrow with an outfit post! Congrats girl! So excited to see you Sunday! Congrats from a fellow 2016 Graduate! Graduation is such an awesome day! !